As the Great Dubsmash War wages on, bringing lovers closer together and dividing Agent Carter from Agents Of S.H.I.E.L.D., Tom Hardy, it turns out, has been a stealthy participant all along. 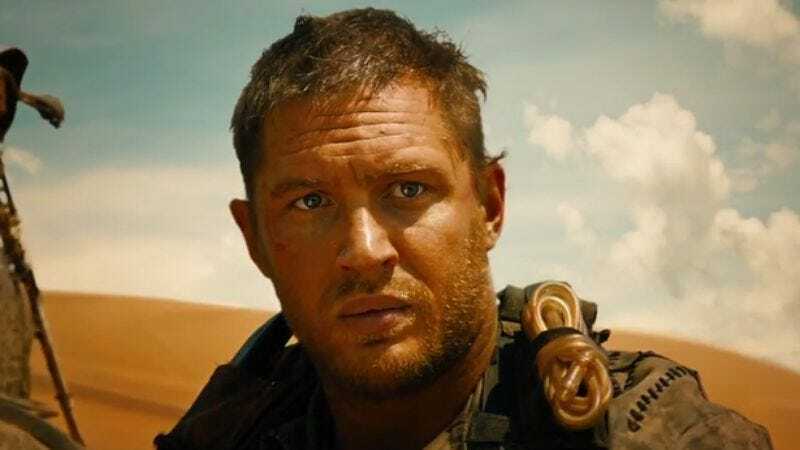 Adding to the Mad Max: Fury Road star’s delightfully strange social media presence, videos of Hardy participating in secret Dubsmash sessions have been released, thanks largely to Jake Tomuri, one of Hardy’s Mad Max stunt doubles. Like Dubsmash Queen Hayley Atwell, Hardy has eclectic tastes, covering a smattering of artists that includes Wu-Tang Clan, the Bee Gees, Whitney Houston, The Beach Boys, and the musical Annie. Hardy mysteriously hasn’t posted any of his own Dubsmashes himself, and to make matters even more confusing, the only person in addition to Tomuri who has brought Hardy’s Dubsmash obsession to light is rapper 50 Cent, who posted Hardy’s lip-sync covers of “9 Shots” and “P.I.M.P.” on his own Instagram. Hardy’s entire extensive Dubsmash collection is below.